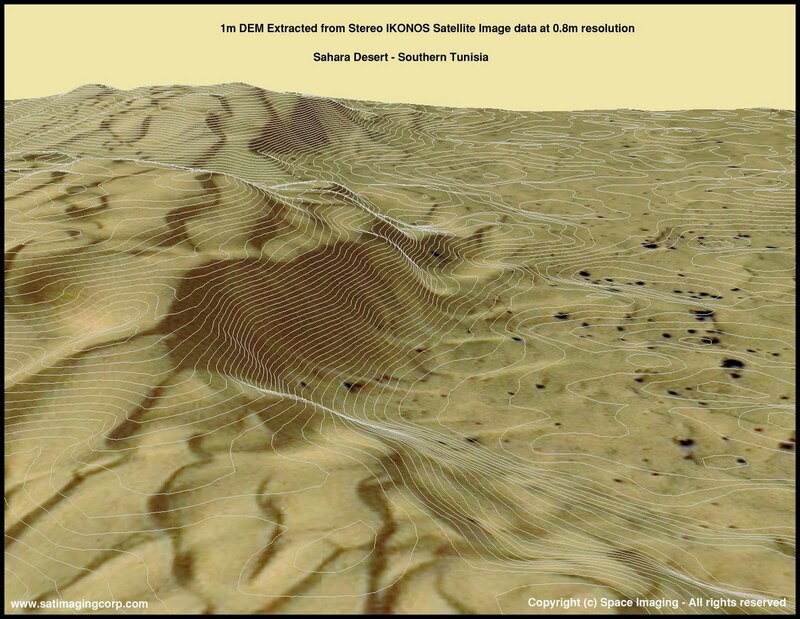 Digital Elevation Models are digital files consisting of terrain elevations for ground positions at regularly spaced horizontal intervals. It involved the raster format and the cartographic data is recorded, stored, and processed in a cell, or pixel. They can also be used to generate three-dimensional images or colorized to bring out relief. These maps are used a lot when trying to show the three dimensions of a planet or moon. In this map, the land form shows its different elevations in the third-dimensional form over the Sahara Desert.